The "micro analyst" has a very interesting working sphere. He or she goes into the world of microscopic dimensions. The micro world is opened by using the zoom controller at the electron microscope. The operator can see structures, which possibly no human eye saw before. 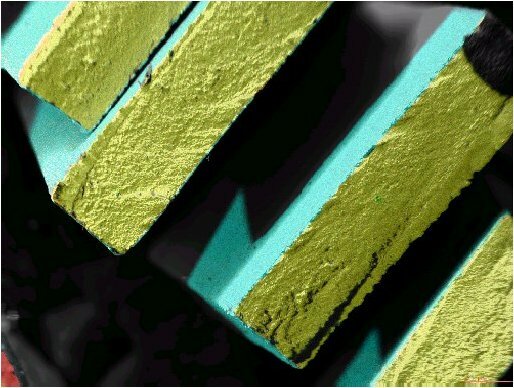 Structures with a size of 0.1 mm (and less) have interesting characteristics on their surface. Enlarge the zoom further, and you will recognize bizarre things with dimensions of few microns, which were still simple marks or balls on images with smaller magnification. It is a great feeling, if the hobby explorer awakes and if one wants to know, what the structure consists of, which was discovered a few minutes before. 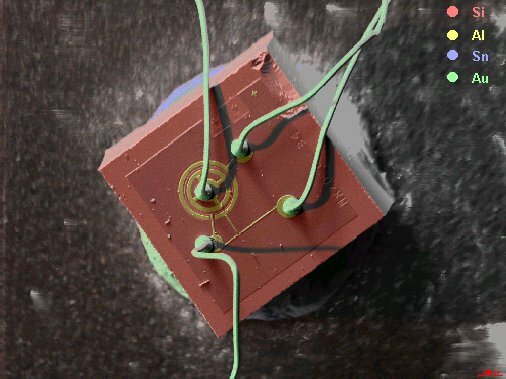 It's quite interesting compared with other methods of analytical instruments, where hundreds of samples are given to a sample holder and after data acquisition and data evaluation is finished (all not visible for the human eye), a set of boring listings documents the result of an anonymous physical procedure. 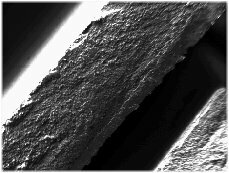 It is a cut by a multi-layer ceramics (in the electron microscope). 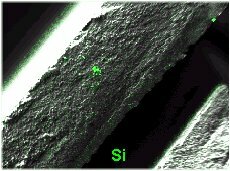 The smallest visible aluminum and magnesium structures are about 1.5 microns large. 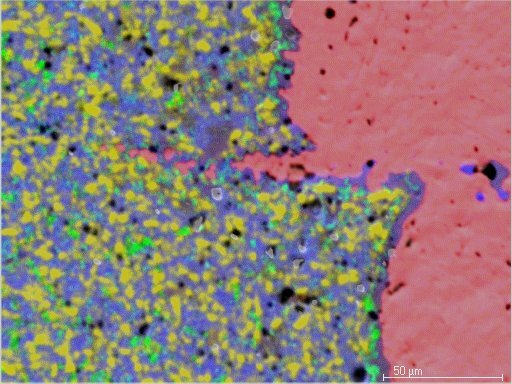 Ag structures of approx 2.5 microns are visible. The spectrum of the energy distribution of the X-ray quanta shows the experienced analyst with one view, still more inexperienced analysts by the software, all elements present in specimen. And the entire periodic system of the elements is almost detectable (with exception of the elements of the atomic number of 1 to 4 with ultra thin radiation entrance window or 1 to 9 with a Beryllium made detector window). Years ago, the EPMA was characterized with 'quantitatively not possible'. Today all information can be won for the computation of the qualitative and quantitative element composition only from the measured spectrum. A comparison to measured standards is not necessary. 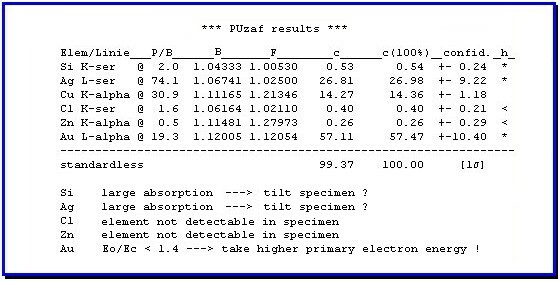 The evaluation of the characteristic radiation of the elements including the measured bremsstrahlung opens the possibility of the standard-free absolute determination of the element concentrations (PUzaf, Info2). The determination of absorption conditions in the measured sample by evaluation of the energetic distribution of the bremsstrahlung spectrum permits the analysis of irregular surfaces and of particles (Info4). Strong line overlaps are 'dissolved' easily by the software (Info5). The spectrum evaluation result becomes an finger print of the analyzed sample volume, independent from the detector, of the electron microscope, the date and time of the analysis and, of course, of the analyst. The result is at any time calculated again by renewed evaluation of the archived spectrum. A good software lists for each element not only the concentration but also an error value of analysis result and permits a experienced analyst direct actions with software (with the goal of giving its experiences) - because to make errors is not only human! An accuracy in results of analysis from 3 to 5 per cent (relatively) are reached. If smaller errors are indicated, then they concerns only the pure statistic portion. Behind the meanwhile ease of the operation with modern software buttons, complicated physical and mathematical calculations are going on. The software covers all complex processes and calculations with seeming ease and it protects the analyst from the detail knowledge of all necessary data and formulas. Then the software 'spits' the results out, very simple. The results were won by a multiplicity of computations, which have all their possibilities of errors. The software protects you from an immense number of necessary decisions, from whose knowledge the operator has really not a notation. The calculations lasts only fractions of seconds because of the fastest microprocessor technology. A few years ago, the same procedures needed several minutes, very respect minding. But, the extremely complex and nonlinear physical based interaction effects in the EPMA became however not simpler. 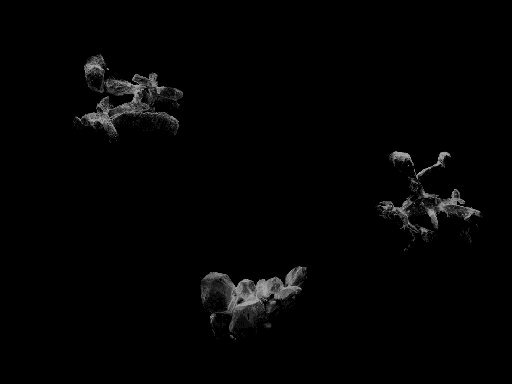 Is it possible to analyze quantitatively the extremely irregular surface of the object "building material" (illustrated above) due to unknown absorption conditions of the x-ray emission? For an analysis with standard reference specimens, smooth and polished surfaces are a condition for both, the standards and for the sample. 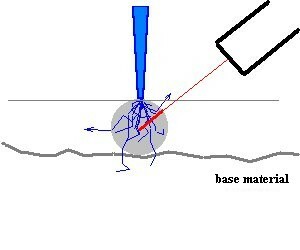 The analyst needs standards with adequate identical surface condition. 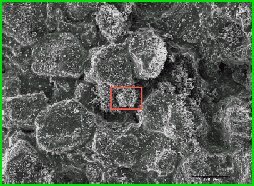 Porous samples, particle and inclusions produce similar analysis problems. 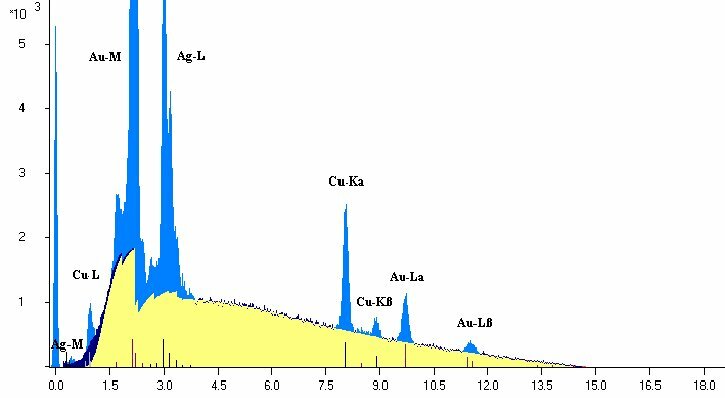 Perhaps it is possible to win information about absorption conditions in the sample of analyzed material from the measured spectrum? 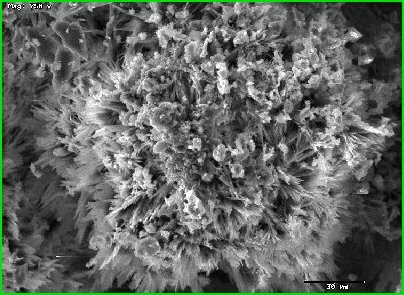 But these kinds of very rough samples (the example is perhaps extrem) are today rather really typical in practice of scanning electron microscope, it is most used because of its good depth resolution for the investigations of structured surfaces. Are we able to quantify the soft X-rays, which are coming from elements with low Z, because of the extreme absorption effects? There are many questions, on those always can't be given positive answers (Info4). However, positive answers are going to be given with increasing success in future. Naturally there are limitations. Each measuring technique does have their limits, the knowledge about that can not really to harm (Info3). 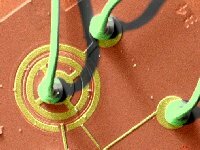 With undefined sample surfaces, only a standard-free spectrum evaluation can lead to the goal. 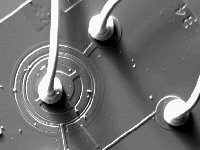 The necessity for the standard-free analysis in the daily practice of the electron microscopy should be justified thereby. If the unknown absorption cannot be determined and be considered, then errors of 100% and more are often really possible, also with standard-free evaluation. No one can forbid to you to take over uncritical the analysis result of number 100 too, if the 99 preceding analyses were well satisfied (due to the good quantitative software). One can imagine badly that quite 99 analyses with an examined error from typically 3 to 5% were done, but the 100th result of analysis is extremely wrong. You got one or more elements with results, with extreme deviation from the expected or from the 'truth' values.